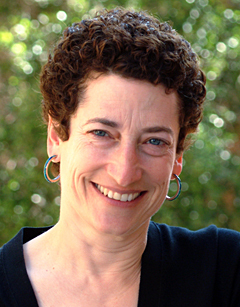 Naomi Oreskes. Photo by Charles Kazilek. The Institute for Sustainability will host its annual Campus Sustainability Day on Oct. 25, featuring discussions on climate change and a documentary about the issue. The free event will take place in the University Student Union, Northridge Center Theatre from 11 a.m. to 3:30 p.m. The day will be divided into three sessions. The campus and community are encouraged to attend. From 11 a.m. to 12:15 p.m., Milind Kulkarni, the director of engineering institutes at ITM Group in Mumbai, India, will discuss the generation of biogas (a form of bio fuel produced by the breakdown of organic matter in the absence of oxygen) from waste water, one solution to help meet the energy challenges of the developing world. The documentary film, “There Once Was an Island,” which shows the human impact of global warming, will be shown from 12:30 to 1:45 p.m. Naomi Oreskes, author and leading historian of science, will speak from 2 to 3:15 p.m. as a part of the Distinguished Visiting Speakers Series on the truth behind the alleged skepticism of global warming in this country. Oreskes is a professor of history and science studies at the University of California, San Diego and an adjunct professor of geosciences at Scripps Institution of Oceanography. Her research has been highly recognized, including by Al Gore in “An Inconvenient Truth.” Her talk will focus on the media presentation of climate change as described in her book, “Merchants of Doubt.” She will focus on the disconnect between scientific debate and its presentation in the mass media. For more information, contact the Institute for Sustainability at (818) 677-7710 or email sustainability@csun.edu.